Applications for September 2020 entry will be accepted from this September. The emphasis of this postgraduate creative writing course is cross-cultural and cross-genre, pointing up the needs and challenges of the contemporary writer who produces his or her creative work in the context of a global writerly and critical community. The programme offers a clustered learning format of five Residences, two Guided Retreats and one Placement over two years. The research Placement, a distinguishing feature of the course, offers between one and two weeks' hands-on experience of writing in the real world. Students may undertake their placement in a literary agency, a publishing house, the offices of a literary periodical, a theatre company, a screen production company, or other relevant organization. Placement organisations have included Macmillan, the Poetry Society, Initialise Films, Random House, the BBC, the Literary Review, AM Heath, Pegasus Theatre, and Carcanet. The first year concentrates equally on prose (fiction and narrative non-fiction), poetry and drama. There is a significant critical reading and analysis component, which is linked to the writerly considerations explored in each of the three genres. Students are expected to engage fully with all three genres, in a spirit of exploration and with the aim of discovering what impact and relevance unaccustomed genres have for the development of their individual writerly voice. This necessarily involves undertaking assignments and exercises in areas that are new to students, and do not relate directly to any work they may have in progress. Students may be able to continue with their own longer term pieces-in-progress but the concentration of year 1 teaching is on producing new work, and the exercises and assignments, which should take priority, reflect this emphasis. The second year offers specialization in a single genre, again accompanied by a significant critical element focused around issues of interest to the individual student and related to the genre of choice. In year 2, the specialization in the genre of students’ choice provides an opportunity for significant concentration on either new work, or, subject to consultation with supervisor, on existing work-in-progress. 2021-22 course dates to be confirmed. Work is set during each Residence and handed in for assessment before the next meeting. Feedback on work submitted is given during tutorials within the Residence or Retreat. You will be allocated a Supervisor to guide and advise you on your creative and critical work throughout the second year. "The Oxford MSt enables you to fast-track your career in writing." "… the freedom to explore and experiment… has been fundamental to my development as a writer." "The range and variety of the group … offers truly exciting opportunities for the kind of exchanges that really accelerate your development as a writer." "What does the course offer? Self-discipline, professionalism and confidence." "My life has been so enriched and expanded. My writing evolves daily through the tools that you gave me. Not to mention the wonderful friendships formed throughout our two years together." "The Masters in Oxford, while encouraging creativity, raised the bar on the quality of the finished work and gave me the discipline to be a professional." "I doubt there’s a more suitable MSt in the United Kingdom for work which challenges boundaries and takes risks." Alumni have been awarded a Toshiba Studentship, a Hawthornden Fellowship, and funded residencies at the Banff Centre, Canada, and at the Expansionists Project, Whitstable. Two alumni have won the Oxford University’s DL Chapman Memorial Prize and another was a finalist in the 2013 Writers at Work Fellowship Competition. Students and alumni have had their work shortlisted across the genres for, among others: the British Library’s Michael Marks Poetry Award; Asham Award; Bridport Prize; Bridport Prize for Flash Fiction; Fish Flash Fiction prize; Yeoville Literary Prize; Oxonian poetry prize; Fish Short Story Prize 2013; Big Issue in the North’s New Writing Award; Oxonian review; Aesthetica Creative Writing Competition; Crime Writers’ Association Debut Dagger award 2011; and the Sunday Times/EFL short story prize 2017. Two alumni were longlisted for the Dylan Thomas Prize, and one was shortlisted. An alumnus’ debut novel also made the longlist for the Not the Booker Prize. The MSt in Creative Writing blog is kept up to date with stories of alumni successes. Many of our graduate students have signed with agents, and each year a number go on to undertake doctoral study in creative writing or English Literature. Our graduates have obtained positions in publishing, media and the creative arts industries, as well as teaching positions in tertiary education. We are looking for writers with a proven record of commitment to their craft. You should be a keen reader, and bring an open-minded, questioning approach to both reading and writing. You will not necessarily have yet achieved publication, but you will have written regularly and read widely over a sustained period. You will be keen to dedicate time and energy and staying-power to harnessing your talent, enlarging your skills, and aiming your writerly production at consistently professional standards. It is likely you will have a first degree, or equivalent, although in some cases other evidence of suitability may be acceptable. The MSt has enjoyed a very strong application field since its inception, attracting record interest in recent years from a global constituency of writers. The course`s emphasis on critical analysis as well as on writerly and creative excellence attracts students of commensurately strong academic potential as well as of significant creative promise. This combination of academic rigour and creativity is a central distinctive feature of the course. The resulting emphasis on exploration and the development of an individual writerly voice serve to attract particularly talented students from around the world as well as a strongly diverse group of UK students of varied backgrounds and ethnicity. The high number of contact hours are concentrated into Residences and Retreats. Students should be at a stage in their writing where, with appropriate guidance, they can undertake agreed assignments, projects and essays between meetings. There is a dedicated Course Website for provision of up-to-date information; contact and exchange between students; and contact between students and tutors. The course, however, is not a ‘distance-learning’ course, and tutors, while being happy to help with questions or problems, do not offer regular weekly ‘office hours’. The programme is similar to MFA (Master of Fine Arts) programmes. It is a creative degree that centres around professional artistic practice for those who wish to build upon, or start, their publishing record. For applicants with a degree from the USA, the minimum GPA we normally seek is 3.6 out of 4.0. We do not seek a Graduate Record Examination (GRE) or GMAT score. Although a GRE or GMAT score is not a formal requirement, if one is available it should be supplied. The MSt is unlikely to be suitable for those who are just starting out on their writerly and critical development. If you have any doubts about whether the MSt is right for your stage of development, please take a look at our Undergraduate Diploma in Creative Writing. During a virtual open event in 2011, participants' questions were texted in and answered by the acting Course Director Jane Draycott and course administrator Rebecca Rue. All of these questions and answers are available to read here. The MSt blog is a resource of interviews, events, calls for submission, competitions, news of alumni and tutors, and more. 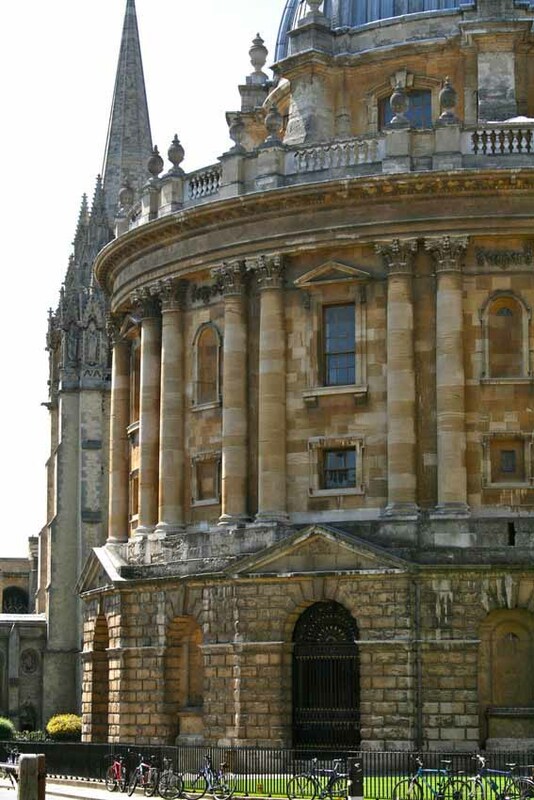 Please visit the Creative Writing page on the University of Oxford Graduate Admissions website for details of course fees and costs. Please visit our sources of funding page for information on student loans, bursaries and external sources of funding. As a postgraduate student studying on this course at OUDCE you may be able to gain assistance through Career Development Loans or Educational Trusts and Charities. The aim of the Clarendon Fund is to assist the very best students who obtain places to study for postgraduate degrees in the University. The main criterion for the awards is academic ability. If you have any questions about the progress of your application, please contact the Graduate Admissions Office (tel: 01865 270059; Query facility); or the Course Administrator, Rebecca Rue (tel: +44 (0)1865 280145; email: rebecca.rue@conted.ox.ac.uk ). For entry requirements, selection criteria and how to apply, please visit the Oxford University Graduate Admissions website. The University requires online applications. Paper applications are only acceptable in exceptional cases where it is not possible for you to apply online. A paper application form can be requested from the Graduate Admissions Office. Note: If you anticipate having difficulty providing three referees who have an informed view of your academic ability and suitability for this Programme of Study, please contact the Programme Administrator for advice. Transcripts of previous higher education results. A statement (see application form) of your reasons for applying to the course. This should include what you feel the course would offer you and your writing, and what you feel you could bring to the course. A portfolio of creative writing for assessment. This can be in any of the three genres, or in more than one, and should consist of approximately 2000 words of prose (fiction, or narrative non-fiction) or 10 short poems or fifteen minutes equivalent of drama. Please note that supporting materials cannot be returned. Please also note that no correspondence can be entered into, should your application be unsuccessful. Prospective students whose first language is not English should note that English language certification at the higher level is required, and any offer of a place will be conditional on the receipt of an original certificate (see the ‘Notes of Guidance’). International applicants from outside the EEA please note that it is not possible to be resident in the UK on the basis of this course. As the MSt is a two-year, part-time course, it does not have the number of teaching hours per week required for a Tier 4 student visa. Non-EU students must get an appropriate visa to cover their time in England before coming to the UK. Many international students on the course apply for student visitor visas to enable them to come to England for the periods required over the duration of the programme. For information on this please visit the UKCISA website. For aspiring writers, the Diploma offers involvement in a wide range of literary projects over two years of focused part-time study.